THN Magazine is a free monthly magazine designed to spread awareness and knowledge about cyber security. Our goal is to provide the most up-to-date information on a wide variety of topics that relate to hackers and security experts worldwide. We welcome contributions from readers and hackers like YOU! 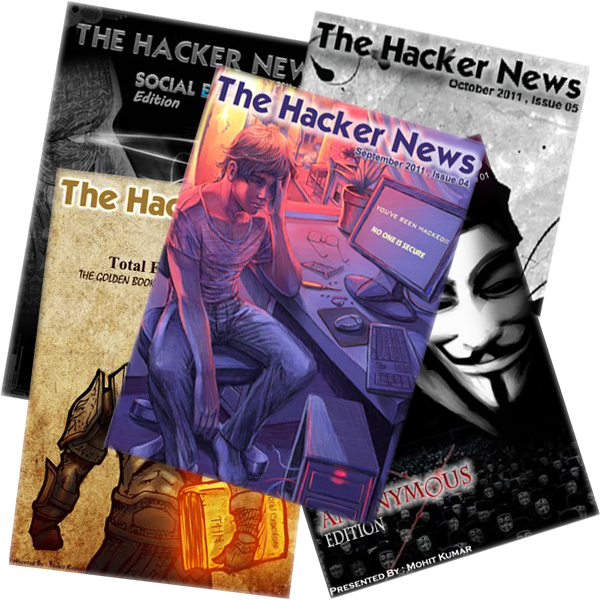 Simply submit your idea or article to thehackernews@gmail.com or admin@thehackernews.com and your submission could be featured in our next edition. If you enjoy our monthly publication, please spread the word! By sharing our free magazine with your family, friends, co-workers and other security experts, you’re helping to promote awareness about global security issues.